Dewata Group is a diversified group of companies involved in business sectors such as mining, forestry, energy and property with projects mostly located on the Island of Kalimantan. The group’s mining operations encompass separate business units for coal concession acquisition, mining and mining services and trading. 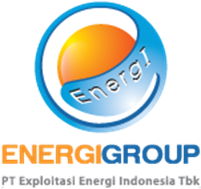 Exploitasi Energi Indonesia Tbk is a Indonesia-based publicly traded company primarily engaged in the energy sector. The company is involved in activities such as coal mining, coal trading, coal logistics and transportation services, electricity power generation through steam power plants, and other supporting operations. Exploitasi Energi Indonesia owns six coal mining concessions in the provinces of Central and South Kalimantan, and operates multiple tugboats, barges, coal export terminals and steam power plants. Samindo Resources Tbk is an Indonesia-based publicly-traded company engaged in the mining industry. The company’s business activities range from carrying out coal mining activities to providing various mining services, including consultancy services, mining construction services, mining management services, coal trading, and coal and mining hauling. Samindo Resources is a parent company to PT Sims Jaya Kaltim, PT Samindo Utama Kaltim, PT Trasindo Mumi Perkasa and PT Mintec Abadi.